Evaluate pain threshold. 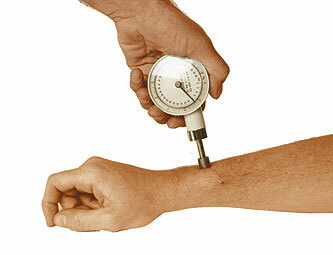 Standardized (1.52 cm~) flat circular probe is pushed against subject's skin until pain threshold is reached. Pounds and kilograms.